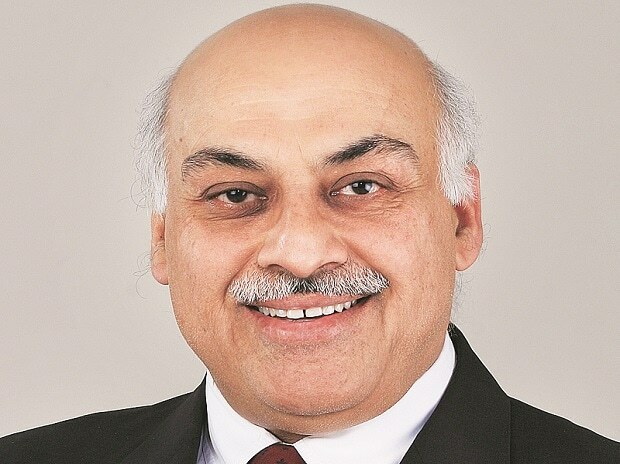 V C Sehgal-led auto component maker Motherson Sumi closed its twenty-first acquisition on Monday by taking over French parts maker Reydel for $201 million. The deal takes the group bit closer to its target of $18 billion annual revenues by FY2020. Sehgal speaks to Ajay Modi on the group’s focus and shares his views on issues facing the industry. PKC, the Finnish wiring harness maker Motherson acquired last year is beginning to see a double-digit revenue growth. Will we see PKC emerge stronger? We are not a Midas touch company that can touch anything to turn it into gold. We are a very human company. PKC has 18,000 people. We are asking them how to service customers and how to improve. It is not going to happen overnight. Our job is to see that in four-five years this company comes out as one of the strongest players in the segment. PKC has all the right ingredients. I will not hurry up because people want us to. Adding $10 million to my bottom line is not winning to me, winning comes when the mindset of people changes. How is the company’s debt position? Are you comfortable raising more for future acquisitions? We have enough headroom. We raised 300 million euros in bond last year at a rate of just 1.8 per cent. If needed, we can raise more debt. We are very comfortable at the moment. The group now employs close to 130,000 people. For the kind of operations you have, is the number on the higher side? It would rather be less. But we are growing at 30 per cent. You want productivity per employee to go up. Here is a wonderful challenge for the group- you want to improve productivity, you want to use less manpower but your growth is such that you don’t have to chuck out people. We want productivity to go up but we don’t want people to leave us. The only way to do this is by growing. You operate in multiple countries. How do you see these talks of trade wars between big economies? It is not so much about component makers; it is more about the car makers. What impact they will have is to be seen. There is a think tank which is working on what needs to be done so that we can reduce the impact if any. We are not so worried about America, Mexico, etc. If there is a global war then we are all affected. In our own way, we are looking at what we can do. India is seeing a debate between hybrid and electric vehicles. The industry is divided...What is your view? We are agnostic about it. It is a thing that the government has to decide. Electric is an expensive proposition. Every government has its own priority. The money needed to create charging infrastructure is huge. The government has to decide what is important. There are other pressing problems to address. We do not know the cost of changing the supply chain, what happens to guys at roadside repair shops, at fuel pumps. How is the company getting ready for BSVI emission norms? People are very worried about EVs and autonomous vehicles. But you are staring at BSVI in just two years. Our efforts are towards that. We are light weighting to be there. I fail to understand how EV stole the real focus that was on BSVI. It is a huge challenge. Wherever I go people ask me about EVs. EVs won’t solve the problem in two years, it will increase the problems. You supply to every top global car maker. Do you see an opportunity in autonomous vehicles? Definitely. We are not into powertrain and drivetrain now but we are not going to say no if a car maker agrees to it. Autonomous vehicles take away a very vital element from the imagination of people. I believe an autonomous vehicle will help the driver get a bit of a rest if you are having a long monotonous drive. It will work very well to assist you and it must be add on feature. Can the Indian component industry create more Mothersons? I hope so. I spend a lot of time trying to tell people to think differently. But in my experience, I have learnt that very few people learn from others. Maybe when I retire I will spend more time on that.